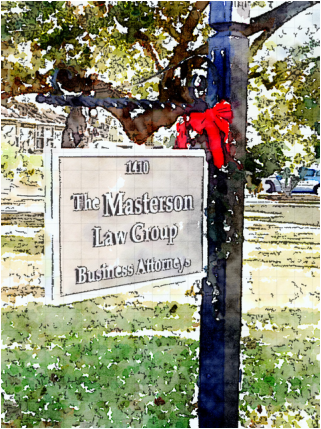 Welcome to The Masterson Law Group website. We hope that you will find our site informative and useful. The Mission of the Masterson Law Group is to provide our clients with the highest quality legal services in an effective and cost efficient manner. We welcome the opportunity to talk with you and discuss how we may be of service. No representation is made that the quality of legal services to be performed is greater than the quality of legal services performed by other lawyers. This website is designed for general information only. The information presented at this site should not be construed to be formal legal advice nor the formation of a lawyer/client relationship.